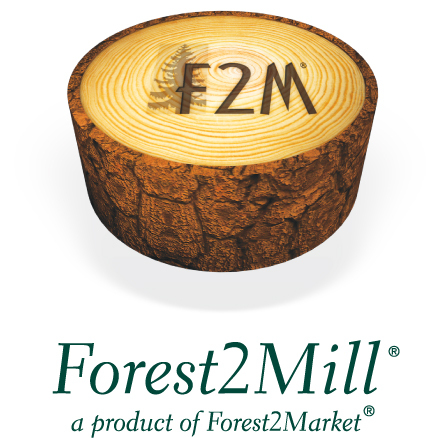 Forest2Market announces the release of its National Benchmark as part of the Forest2Mill product line. The benchmark reports delivered fiber and log prices and market trends across the US South, Pacific Northwest and Lake States. The National Delivered Price Benchmark provides a regional-comparative of market trends and price data that industry participants can use to remain competitive in a ‘buy local, sell global’ marketplace. Forest2Market has introduced a National Delivered Price Benchmark as the latest addition to its Forest2Mill product line, a suite of services designed for buyers and sellers of logs and wood raw materials. The new report expands upon the transaction-based delivered price benchmarks offered in the US South, Pacific Northwest and Lake States regions. The National Benchmark compares the differences in wood raw material costs – pulpwood, chips and sawtimber – across the three existing benchmark regions. Delivered fiber and log prices and trends are benchmarked for softwood and hardwood total fiber, both by region and mill type. The benchmark also reports data on domestic sawlogs by region and species and compares the export and domestic markets for Doug fir and Hem fir. Forest2Market collects actual delivered raw material costs and cost components from major forest product companies to deliver the only credible benchmark in the industry. Forest2Market has provided its delivered price benchmark service in the US South since 2006, the Pacific Northwest since 2007 and the Lake States since 2012. These regional reports provide price information and market analysis based on transaction-level data. Forest2Market provides market pricing data as well as wood and fiber supply chain expertise to customers in the forest, wood and paper products, recovered fiber and bioenergy industries. Headquartered in Charlotte, North Carolina, the company also has offices in Eugene, Oregon and Appleton, Wisconsin. For more information, visit http://www.forest2market.com.